Deckers Brands of Goleta, California, USA won a Bronze Stevie® Award for Company of the Year in the 2015 Asia-Pacific Stevie Awards. View all of the 2015 winners here. The 2016 Asia-Pacific Stevie Awards will be open for entries in October 2015. Request your entry kit now and it will be emailed to you when it's available. Deckers Brands has a 40-year history of building niche footwear brands into lifestyle market leaders, attracting millions of loyal consumers globally. The company was traditionally a wholesaler, selling to other retailers and international distributors, but recently changed its business model to become more consumer-centric. Some 25% of Deckers' revenues now come from direct-to-consumer sales online and in-store. In 2015, Deckers Brands launched its first multi-brand e-commerce website in the Asia-Pacific region, www.stylebydeckers.com. We asked Peter what challenges he had faced with Decker Brands’ expansion into Asia-Pacific, and if he had advice for other companies considering expansion in the region. Deckers Brands is expanding its service in several APAC countries over the course of this year. To-date, Singapore and Australia have already gone live, followed by Hong Kong, Malaysia, and South Korea. The lifestyle search: Consumers can search for products on the website based on his/her personal lifestyle preferences, including "Home," "Urban," "Beach" and "Active." Cross-brand product search: In addition to the lifestyle search, the platform offers a comprehensive product search across all four Deckers' brands, based on a number of criteria, including brand name, price, color, size, materials, collection, benefit, and activity. Geo-targeted catalogue and pricing: The website has the ability to define different catalogs of products based on geography. This includes the ability to accept local currency for each country. Direct access to brand sites: Should customers prefer to shop just one brand, the new multi-brand website makes it easy to access the official brand pages directly. Style X Deckers is the first online experience that cross-merchandises all of Deckers top footwear brands together directly for the consumer. The cross-brand search function allows consumers to find the product that will best meet their needs–whether for at-home, active lifestyles, or everyday wear. The Style X Deckers website is expected to launch in New Zealand and Taiwan during 2016, with the remainder of the targeted APAC countries to follow in 2017. Deckers Brands' Stevie Award makes them even more well positioned to succeed in the Asia-Pacific region. 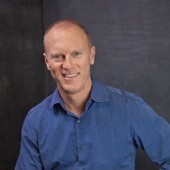 Peter Worley was appointed President of Asia Pacific by Deckers Brands in 2012. In this key position, Peter leads Deckers’ continued expansion in a critical geographic region important to all the brands in the Deckers portfolio. He had just marked his fifth year with the Teva brand, where he led its successful turnaround and re-positioning, building a new management team, and increased global sales by 55% since 2006. Prior to joining Deckers, Worley held Product and Sales Vice President roles with K-Swiss during a 10-year period of over 350% growth, as well as product and marketing roles witin the Reebok International organization. Worley is based at Deckers’ Hong Kong office. Deckers Brands is a global leader in designing, marketing, and distributing innovative footwear, apparel, and accessories developed for both everyday casual lifestyle use and high performance activities. The Company's portfolio of brands includes UGG®, Teva®, Sanuk®, Ahnu®, and HOKA ONE ONE®. Deckers Brands products are sold in more than 50 countries and territories through select department and specialty stores, 142 Company-owned and operated retail stores, and select online stores, including Company-owned websites. Deckers Brands has a 40-year history of building niche footwear brands into lifestyle market leaders attracting millions of loyal consumers globally. For more information, please visit www.deckers.com. The Asia-Pacific Stevie Awards have company awards categories as well as categories for management, marketing, customer service, human resources, new products, and much more. Join the mailing list and you'll get the 2016 entry kit in October.